Summer has arrived meaning that your beauty routine is now a little more intricate. A summer beauty routine for women (besides shaving legs) involves finding and using grooming tools like the right hair brush, a good hair dryer, a hair straightener, and most importantly a bikini razor. How do I get the perfect bikini line? This article will show you the best bikini razors and trimmers of 2019. These razors will help prevent irritation, nicks, and razor bumps that often come when using one of these products. There are many features to look for in the best bikini razor. One of the most important is if it will shave your bikini line closely and smoothly. The market offers many bikini razors and trimmers to choose from. 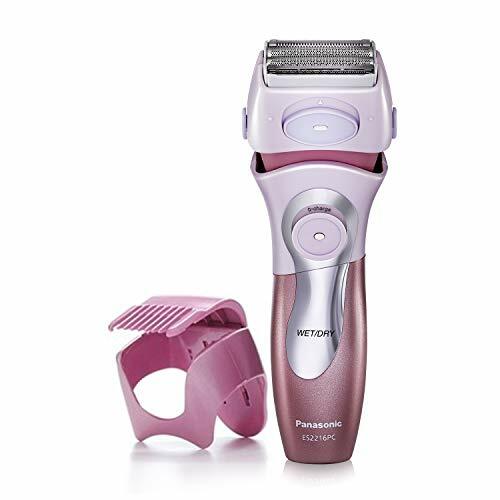 Below is a list of the top 11 best bikini razors and trimmers of 2019 and the top manufactures of them. Buying a bikini razor or beard ﻿trimmer can be a difficult task. How many blades should the razor and trimmer have? What type of blades should they be? Does it really matter that the razor and trimmer is corded? All of these are just a few questions that people ask when looking to buy a razor and trimmer. These are important things to consider because they do make a difference in your shaving and trimming job. If a razor doesn’t have enough blades and if they aren’t sharp enough, the hair won’t be fully removed. If the razor and trimmer has a cord, you won’t be able to use it in the shower. The following reviews will give more information behind these razors and trimmers. Each has their own unique features and abilities. Keep reading to learn about their features and to find the razor and trimmer that’s right for you. Below are product reviews of the best bikini razors and trimmers on the market from the top electric razor brands. This product comes with both a razor and trimmer feature. The razor side of this model has 5 curve-sensing blades that feature guards. The curves and guards helps to prevent irritation to the skin after shaving. The trimmer side of this product comes with an adjustable comb that has four settings. You can move these settings according to your preference of how much trimming you would like to do. This bikini razor and trimmer is able to keep your skin hydrated for up to two hours after having used it. It is able to do so because shea butter is incorporated into the head of the razor. It is also hypo-allergenic making it perfect to use on sensitive skin. This product is waterproof, so it can be used in the shower. This product is battery powdered. It is a compact razor/trimmer so you can easilyuse and store it when needed. With the hydration feature, it will help leave the shaved area extra smooth. The razor doesn’t always give as close a shave as one might like. The razor does tend to be a little big, so it might be a little awkward to hold and use. This product has an ultra-fine-comb style head which helps to shave the hair you want gone. Because this is the only head on the shaver, the trim length can be determined by how much pressure you use on the hair.The T-shape design helps to easily trim and remove hair. It also features a no-nick design. This design makes sure the teeth of the trimmer are angled correctly to prevent nicks from occurring. It runs on an AA battery which is included with the product. It’s a good product to use on sensitive areas. The T-design helps to make sure there is no skin irritation when you’re trimming. Sometimes you need to go over the shaved area multiple times before everything is removed. This is a very basic shaver. This might be ideal to some people, but if you want many features, this isn’t the right product. It is not a waterproof trimmer. This means you can’t use it in the shower. This is a very basic shaver and trimmer. If you want something that is easy to use this is perfect. This shaver is lightweight and compact and only needs a battery to run. This bikini trimmer is made with stainless steel and hypo-allergenic blades. These features help to give you a close shave and prevent irritation from occurring on sensitive skin. The head of the razor is 1.3 inches long and comes with many different features. The personal shaver will help give you a close shave with the razor. The trimmer comes with a 5 position trim head. This trim head is angled so it will help you remove more hair easily. You can use this razor and trimmer in the shower because it is waterproof. This product runs on 2 AA batteries and will give you up to 45 minutes of shaving time. This is a good razor and trimmer for sensitive skin. It is a very lightweight and compact product. It comes with a cleaning brush that you can use to remove the pieces of hair in the razor and trimmer head. The batteries don’t come with this product so you’ll have to purchase them. Sometimes this product will get easily clogged with wet hair. This means you’ll have to constantly be cleaning it out so it can work properly. It is best to use with trimming and not for fully shaving areas. This cordless razor and trimmer comes with many trimming features. In fact, there are six attachments you can use with this product. These are the precision trimmer, the precision comb, the epilator, the micro-trimmer, and the micro-shaver. The precision trimmer will help give you a close and clean shave on your bikini line. The product’s precision comb has 5 length settings that you can adjust to help shave your hair according to your preferences. These length settings start at 2mm and go up to 10mm. The epilator will work to pull the hair out by its roots so it is fully removed. Both the micro-trimmer and micro-shaver work to give you a close trim and shave. This product is hypo-allergenic, so if you have sensitive skin this is a good product to use. It can be used in both wet and dry shaving situations. It runs up to 60 minutes and can be charged with the charger that comes with it. The charger features an LED light on it to let you easily see the status of the charging and know when the razor and trimmer has been fully charged. It comes with a travel bag, exfoliation glove, and illuminating tweezers. The trimmer is also good to use on your eyebrows. The product comes with an eyebrow comb which you can use when you’re done trimming them. It can run for 60 minutes on a full charge. This is a longer battery life compared to other bikini shavers and trimmers. The razor sometimes doesn’t give you a very close shave. It is a more expensive bikini razor and trimmer option. This razor and trimmer comes with many attachments you can use to remove hair. It works especially well with shaving and trimming your bikini line. It runs for an hour and is a good product to use on sensitive skin. This bikini trimmer features a high precision head to help you closely shave your bikini line. It also has a slim bikini shaping head that is T-shaped to help prevent irritation when shaving. It comes with two trimming combs for your bikini area. These trimming combs are 5mm and 8mm. This product does need an AAA battery to run, but it is included. It is a lightweight bikini razor and trimmer option. If you want to style your bikini line this is a good product to do that with. It comes with 10 styling templates you can use with your bikini line. The design of this trimmer makes it easy to hold and use. It is a very delicate razor and trimmer, so you’ll have to be carefully when using it. This product doesn’t fully remove hair as well as it could. It can’t be used in wet shaving/trimming situations such as the shower. While it might be delicate, it is a convenient product to use. It is lightweight and compact making it easy to carry with you. It is perfect for if you want to style your bikini area. This electric shaver/trimmer uses a floating and pivoting head to help better remove the hair from your body. These features move according to the contours of your body, helping the product to better remove the hair. This shaver comes with 4 blades that are made of thin foils which help to not only remove the hair, but help to make it a comfortable task while doing so. It comes with an adjustable height bikini shaver and a precision pop-up trimmer. This product can be used in both wet and dry shaving situations. It runs on a rechargeable battery. This electric shaver is lightweight and compact razor/trimmer option. It is good to use on sensitive skin. The design of this product makes it easy to hold and use. It comes with the rechargeable battery and charger. The shaver’s battery isn’t the strongest. It tends to die quickly. This is not the best electricshaver to use with very thick hair. This is the perfect electric shaver to use not only on your bikini line, but everywhere on your body. The blades are sharp and you can easily use this electric shaver in the shower. This cordless bikini razor and trimmer comes with a floating head feature. This floating head will help to move with the contours of your body so it can remove the hair better. The blades are made of foil which helps to prevent irritation. This product comes with many different attachments you can use. The bikini trimmer attachments will cut hairs as small as 4 mm. There is also an exfoliation attachment that will help to pull the hair up by the root to keep your skin smooth. The optishave attachment helps to give you a close shave. This razor can be used in both wet and dry situations. It needs anAA battery to run, one of which is included when you buy it. It will give you a close shave. The design of the product makes it easy to hold and use. You can use this in both wet/dry shaving situations, so you can take this product into the shower or bath. It does not come with a bag to store and carry it in. This product is one of the more expensive razor/trimmer options. While this does tend to be expensive, this razor and trimmer is made with excellent features. It will follow your body’s contours when shaving to prevent irritation. It also has the ability to cut extremely small and unnoticeable hairs. This razor and trimmer features 40 close-grip tweezers to help remove hairs as short as 0.5 mm. The head of this razor and trimmer product has a pivoting feature. This pivoting head works to move according to the contours of your body to help it better remove hairs. The SmartLight feature with this product helps you to see finer hairs when trimming or shaving so you can remove them. There is a high frequency massage system feature with this product. This feature will help to massage your skin when you use it to help prevent irritation. It also comes with an epilator bikini trimmer and you can use it in both wet and dry situations. This razor and trimmer can run for 40 minutes on a one hour charge. This product comes with a shaver head, trimmer cap, high-frequency massage cap, sensitive area cap, facial cap, and efficiency cap. A battery does not come with this product. It can be a little painful to use sometimes. This product will work to remove short hairs completely. The pivoting head is good as it will work with your body’s contours and prevent irritation. The massage feature is also great to help soothe the skin as you shave with this product. This product features a pivoting head to help better remove hairs according to the contours of your body. It uses 40 close-grip tweezers that can remove hairs as small as 0.5 mm. This product feature a high frequency massage system and a SmartLight. The massage system will help to prevent irritation to your skin while the SmartLight will help you to see finer hairs so you can remove them. There is also a speed personalization feature you can use to either slow or quicken the shaver’s speed. It comes with a cooling glove, 3 caps, a brush, and a pouch to store these items in. It will work to pull hairs out by the root. This isn’t a cordless razor and trimmer option. You can only use this in dry situations. This means you can’t use it in the shower or bath. It can sometimes cause ingrown hairs. This product comes with great features, such as SmartLight, to help make your shaving and trimming task remove as much hair as possible. While it isn’t cordless, it is still easy to use. This product comes with a bikini trimmer head to help remove hairs from your bikini line. There is also a mini shaver head that you can use to go over your skin after shaving to make sure there is no hair left. This product also features precision combs for trimming. It is powered by an AA battery which is included with the trimmer. It is a very compact razor and trimmer option. This is a good product to use on sensitive skin. It will work to remove hair without causing irritation. This is not a good product to use on heavy hair. Sometimes if you press this product too firmly on your skin it could cause some cuts. This is a good basic trimmer to use. While it doesn’t have as many features compared to other models, it still gets the job done. 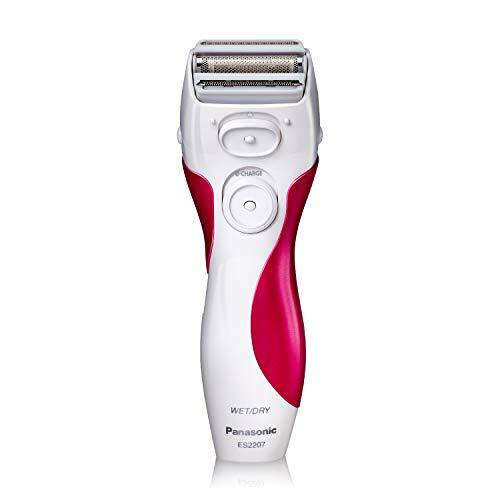 If you have sensitive skin, this is a good trimmer to consider using. 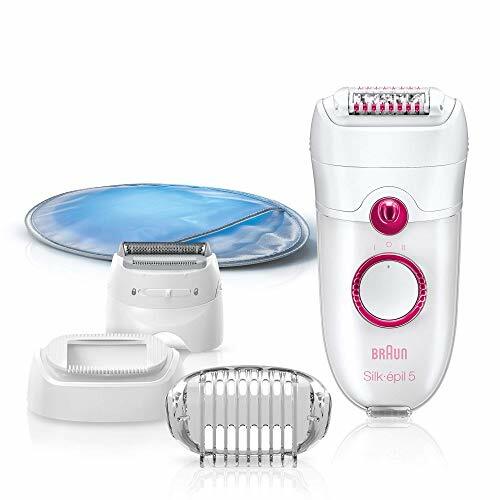 This razor and trimmer uses 3 floating blades which move according to the contours of your body. This helps to remove hair in a more comfortable way. These blades are extremely sharp, hypo-allergenic, and made with foil covers. This helps to prevent irritation while shaving/trimming. The pop-up trimmer helps to remove stray hairs making it perfect to use on your bikini line. This product can be used in both wet and dry shaving situations. A cleaning brush and travel pouch come with this product. The charger that comes with this razor and trimmer can be plugged into an outlet. This helps make it an even more compact product. This product might not give you as smooth and close a shave/trim as you might like. The trimmer can sometimes be a little slow when working. If you have sensitive skin, this product will work to make sure there isn’t irritation. While it might not give the closest shave possible, it is easy to use and can be used in the shower. Below are some aspects to consider before buying a bikini razor and trimmer. These include its features, how to shave your bikini line, and a few other questions you might have about these products. All of these things are important to keep in mind before you purchase a bikini razor and trimmer. The features of a bikini razor and trimmer are extremely important to consider. Each product has its own features, so be sure to find the bikini razor and trimmer that contains the right features for you. Below are six especially important features to keep in mind. You want to make sure that any bikini razor and trimmer you buy is easy to use. If you have a product that is hard to hold it can make shaving and trimming difficult. Look for a razor and trimmer that has a comfortable handle. By having a comfortable handle you will be able to grasp the razor and trimmer better, helping you get a smoother shave and trim. Also, make sure there aren’t too many features. While having many features is nice, you want don’t want one with so many of them that it ends up being too confusing to use. While you’ll have to clean any bikini razor and trimmer you buy, you don’t want to buy one that requires extensive cleaning all the time. You want a razor and trimmer that is easy to clean and can instantly get back to work. All razors and trimmers are unique in how they are to be cleaned. It’s important to find one that won’t be time-consuming to clean and is easy to remove hair from. Always look at the quality of trim these products have. If the razor and trimmer doesn’t remove hair well, it could leave behind some irritation and unsightly cuts. Also, it might not fully remove the hair, leaving you with some hairs left. Sometimes certain razors/trimmers won’t work well with removing certain types of hair. Always look for a razor and trimmer that will work to help fully remove the type of hair you have. The performance of a razor and trimmer is good to look at. You want one that has a strong power level and sharp blades so that you don’t have to keep going over areas. The power of the razor should last long enough to let you shave and trim in one sitting. If the power of the product keeps dying while you’re shaving or trimming it could cause some problems. One of the most important features to look for in a bikini razor and trimmer is its comfort level. Shaving and trimming can be a slightly uncomfortable task. However, with the right electric shaver/trimmer, it can be a more comfortable and even enjoyable experience. It is also good to look for a shaver and trimmer that will remove hair but not leave nicks and bumps. A bikini razor and bikini trimmer should be able to remove hair without leaving behind irritation and those nicks and bumps. The warranty of a razor and bikini trimmer is also good to look at. You want to buy a razor and trimmer that has a long warranty. This way, if a part breaks, you can be sent a replacement. If the warranty isn’t long, you might end up having to pay for that part or even for another razor and trimmer product. Be sure to buy a razor or trimmer that has at least a one year warranty. The features above are the top features to consider when buying a razor and trimmer. Besides these though, there are a few other ones to keep in mind. These include a wet/dry ability, attachments, and noise level. If the razor and trimmer has a wet/dry ability you can use it both in and out of the shower. It’s important to know if your razor and trimmer has this feature because not all do. The attachments are also something to look for. If a razor and trimmer comes with many they will help improve your trimming and shaving experience. Often these attachments will provide special trimming and shaving features so you can remove or style the hair how you want. The last feature to consider is the noise level. Many times electric razors and trimmers can be a little loud, so if you want to trim and shave discreetly, it’s important to know if the product is quiet. A quiet razor and trimmer will help avoid annoying loud noises while you’re shaving and/or trimming. How to Shave Your Bikini Line ? Shaving your bikini line can seem like a difficult task, but with the following tips, it can be an easy and effortless thing to do. Before shaving your bikini line be sure you’re using the right razor. If you don’t, your skin could become extremely irritated and the shaving job won’t be smooth and clean. Your razor should have many sharp blades so they can quickly and fully remove hairs. You should also see if there’s a soothing strip on the razor. This strip will help to prevent irritation after shaving an area. If you have the right razor,you can work to prepare your skin for shaving. While it would be ideal to shave in the shower due to the warm water, it’s still ok if you don’t. If you don’t shave in the shower, put some warm water on the area you plan to shave. Let this sit for a while and then dry the area. No matter where you shave though, warm water is key because it will help to prepare the hair for shaving and cause less irritation. Before using the razor you can use a cream, such as a shaving lotion, to help give extra protection to the skin from irritation. Something to also keep in mind before shaving is the hair length. If the hair is long, it would be good to trim it a little. Otherwise the long hair could end up clogging the razor blades. When you shave your bikini area be sure to shave in the direction that the hair grows. This way the razor can work to cut the hair near the root. Be sure to not go over the same area often or you could end up cutting your skin and irritating it. Also be sure to occasionally rinse the shaved area to remove the shaved hairs. When you are completely done with shaving, wash the area off with cold water. The cold water will help to soothe the skin and prevent irritation. You can put moisturizer on the shaved area to help make it extra smooth. What Type of Moisturizer Should I Use? Using a moisturizer after trimming and shaving will help to not only keep your skin hydrated, but prevent irritation from occurring. There are many moisturizers you can use, but not all will work the same. It’s important to look for ones that are chemical-free and contain things like aloe vera and jojoba oil. In fact, if you end up accidentally cutting yourself while shaving or trimming, aloe vera will help to instantly soothe and heal that area. Shea Butter: This type helps to heal skin irritations with its many vitamins. The vitamins in shea butter work to help soothe the skin to help prevent dryness and also to help strength it. Coconut Oil: This type of moisturizer goes deeply into your skin pores so it can help to better moisturize it. It isn’t greasy, unlike many other moisturizer types, and can work to strengthen your skin. Olive Oil: This type goes deep into the skin pores to moisture it better. While it can be a little greasy, olive oil works very well at strengthening the skin and you can use it on almost every skin type, even sensitive. These three are very popular and the best types, but be sure to use pure mixes. Products that mix in chemicals and smells into their moisturizers can sometimes cause even more irritation to the skin. Should I Trim or Shave My Bikini Area? This depends on your preferences. If you want to completely remove the hair from your bikini area you should shave. If you want to keep some hair then you should trim. However, trimming and shaving are two very different processes. If you decide to trim, you need to clean the area and then dry it completely. You can then use a bikini trimmer to cut the hair according to how you want. Often bikini trimmers will come with combs so you can do this. If you decide to shave, you want to make sure to clean the area with warm water and then dry it. It’s usually a good idea to shave in the shower, but you don’t need too. The section above entitled “How to Shave Your Bikini Line” will give you more in-depth step-by-step instructions as to how to do this. How Do I Prevent Irritation and Ingrown Hairs? There are many things you can do to prevent these two things from happening. One is to clean the area you are about to shave or trim with warm water. The warm water will help to soften the hair making it easier to remove or trim it leading to less irritation. Shaving creams are also good to use while shaving because they will give you an extra layer of protection between the razor blades and your skin. To prevent ingrown hairs you want to make sure you shave in the direction that the hair is growing. You also want to make sure your razor has sharp blades to help fully remove the hair. These methods will also help to prevent other discomforts like razor bumps on your skin. How Can I Relieve the Irritation From Razor Bumps and Nicks? If you end up having some razor bumps and nicks after using your razor and trimmer, there are a few things you can do to relieve any irritation. You can apply cold water to the area to help reduce the irritation from them. Also, as mentioned above with the moisturizers, you can use aloe vera on the area. Many razors and trimmers come with a soothing strip to help prevent these though. The strip is often infused with vitamin E oils to help soothe the skin from razor bumps and nicks while removing the hair. There are also a few other oils that are essential to have if these occur. These include tea tree oil, lavender oil, and jojoba oil. Tea tree oil helps remove any bacteria from the razor bumps to prevent infection and irritation. If you have a burn or irritation from the razor bumps or nicks, lavender oil will soothe that. The jojoba oil is also good at killing bacteria from the shaved or trimmed area and will help to hydrate the area shaved. The hydration will help to soothe any irritation that is occurring. These oils will all help to relieve the pain and irritation caused by these razor bumps and nicks. Can I Shave if I have Sensitive Skin? Yes, it is fine to do so but there are some things to keep in mind. If you have sensitive skin, you want to make sure the skin and hair is wet before you shave. It would also be good for you to use a sensitive skin shaving cream. The cream will help prevent irritation to your skin from shaving. Many electric razor brandsdesign razors and bikini trimmers exclusively for sensitive skin. Considerusing one of these special types to give you extra comfort. Should I Trim and Shave My Bikini Area Daily? This would not be a good thing to do. You want to let the hair grow in a little so the razor and trimmer doesn’t irritate the skin. If you shave and trim the bikini area daily, there won’t be anything to remove, so the razor and trimmer will just end up irritating your skin. Therefore, it’s best to wait a little bit before going back and re-trimming or shaving your bikini area. How Do I Properly Clean My Razor and Bikini Trimmer? Cleaning your razor and trimmer is a simple process, but one that needs to be done right. All razors and trimmers are different, so be sure to look at the user’s manual that comes with your product. Most of the time you can remove the razor and trimmer's head and rinse it under water. This will help to remove any hairs blocking the blade from working properly. However, not all razors and trimmers work like this. Some are only meant to be used a few times and some might need a brush to clean the blade. No matter what though, be sure to turn your razor and trimmer off before starting to clean it. Overall, properly cleaning your razor and trimmer depends on the type and model you have. Something else to keep in mind about cleaning is that it is very important that you do so. If you don’t clean your razor and bikini trimmer it could end up causing some serious infections. This is especially true if you accidentally cut yourself while shaving or trimming your bikini area. This area is very sensitive and if you don’t clean and sanitize your razor and trimmer you could end up getting a very bad infection there. What Are the Different Types of Shaving Blades? Many razors and bikini trimmers come with either a foil or rotary blade. These are very different types of blades compared to each other. The foil blade is one that has many flat iron blades running left and right that are protected under a foil covering. A rotary blade is circular and has about 3 heads on it. If you’re looking to get a close shave with your razor, the foil is best. However, a rotary blade is good to use on sensitive skin and tends to be quieter than a foil one. Why Should I Use An Electric Shaver Over a Disposable One? While both types will remove hair how they do it is very different. An electric product will work much faster than a disposable one. It’s also reusable, so you don’t need to keep buying new ones. This is unlike a disposable one which becomes dull after you use it a few times. Using a disposable one also means you need to work with it to remove the hair, you can’t just glide it over the area. However, a disposable model does let you get a little more of a closer shave because you can apply more pressure with it when shaving or trimming hair. What is the Difference Between Corded and Cordless Razors and Trimmers? The main difference is that you can plug one razor into an electrical outlet to work while the other one doesn't have to be. You can use a cordless safety razor anywhere, while the corded one means you have to stay near to where you have plugged it in. While the cordless razor offers convenience it does means that this type runs on a type of battery. This means you can only shave until the battery runs out of power. While you are limited with where you can use the corded razor and trimmer, it will work as long as you need it too because it is plugged into an outlet. This article showcased 11 of the best bikini razors and bikini trimmers on the market. All of these razors and trimmers have unique features, so it’s important to buy the one that will best fit your needs. A bikini razor and bikini trimmer is a crucial tool to have during these warm months. It will help to shave your bikini area and even style it. This summer, consider buying one of these razor and trimmers to help give you a smooth shave and stylish trim.